Most of the people want to hide last active on Facebook because they might have been afraid of their Girlfriend/Boyfriend or their parents. Sometimes you need to get rid of your friend’s messages too. Everyone will come across this situation, and they try to find the solution to hide their last active. To overcome this situation today, I am going to show you the working method to hide the last active on Facebook. How last active work on Facebook? Facebook uses timed requests on the server-side to check whether the user is still available or not. So, the loaded Facebook webpage periodically sends the HTTP request with the idle time to their servers. Here, active now doesn’t mean that user is active on facebook right now. Even when the user uses messenger on Mobile phone and he remains his mobile data on, his status on facebook shows active now. To hide the last active when you’re online, you need a web browser. I will show you the method using Chrome browser & Mozilla Firefox browser, which I’ve tested personally. Google Chrome is a freeware web browser developed by Google. Chrome periodically updates of two blacklists and warns the users when they attempt to visit a site flagged as potentially harmful. Google Chrome browser has many features to install extensions and use the services. 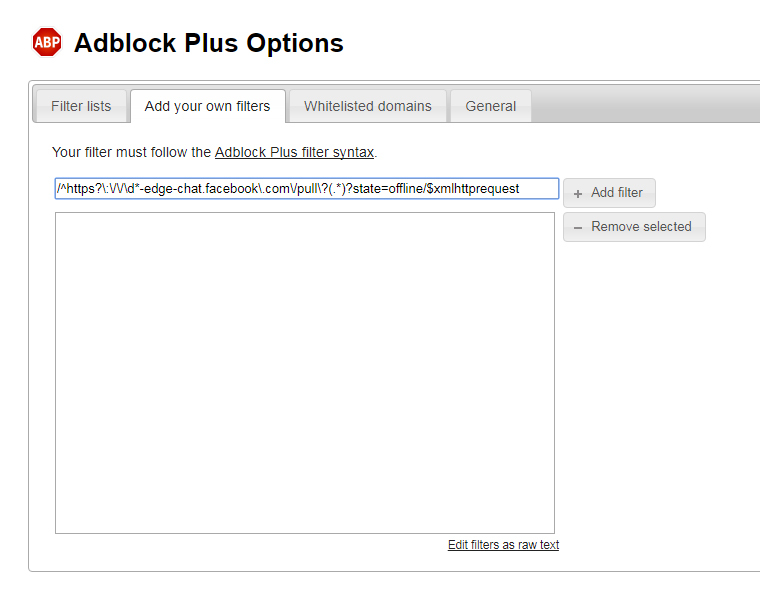 Here I will show the method to hide last active on Facebook using the extension named Adblock Plus. Adblock Plus is the most popular adblocker with 10,000,000+ users. This extension helps with lag and also giving you an ad-free experience. It will block ads on almost all websites and gives you ad-free experience. To hide the last active using chrome browser, you need to install Adblock Plus from Google Chrome web store. You can install it easily. 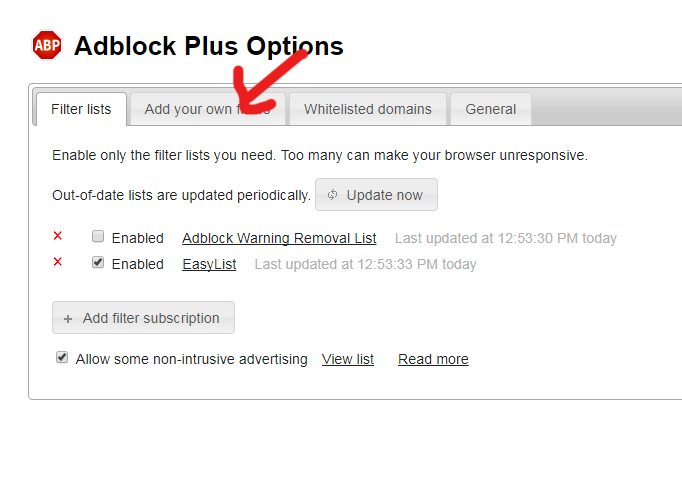 After installing the extension click on Adblock Plus icon on the top right in extensions list and select options. On the top right in extensions list and choose options. Now, a new window will open. Select “Add your own filters” tab as shown in below image. Select “Add your own filters” tab as shown in below image. Enter “/^https?\:\/\/\d*-edge-chat.facebook\.com\/pull\?(. 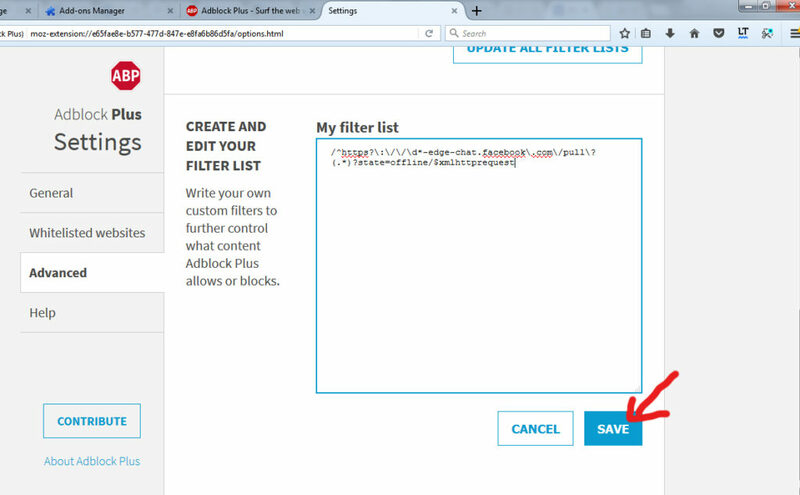 *)?state=offline/$xmlhttprequest” on top empty box beside “Add Filter” button and click on “Add Filter“. Now you all set to hide the last active on Facebook. Let’s test whether this feature is working or not. Now, open the Facebook in Chrome web browser. 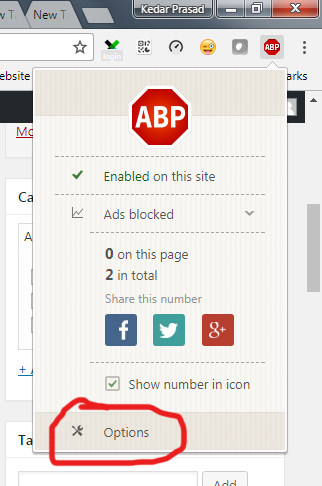 Make sure there is a green tick mark beside “Enable or this site” on ABP extension icon. Turn off Facebook chat to get this method work. Open the Facebook on a mobile browser with another account. Open your Facebook ID from the chat section and see the last active status. You’ll observe that the last active will move on to “Active 2 minutes ago” “Active 5 minutes ago“. Here this method works only when you turned off online chat. Once you go online, your active status will appear to all your friends on your list. To receive real-time notification you need to open the Facebook in another tab. If you want to use the Facebook usually, then click on ABP icon on top right extensions list and then click on “Enabled on this side” option. Mozilla Firefox is a web browser similar to Google Chrome web browser. Mozilla Firefox browser is safe & fast to browse the web pages. It loads the pages quickly. Here also we use Adblock Plus to hide last active. 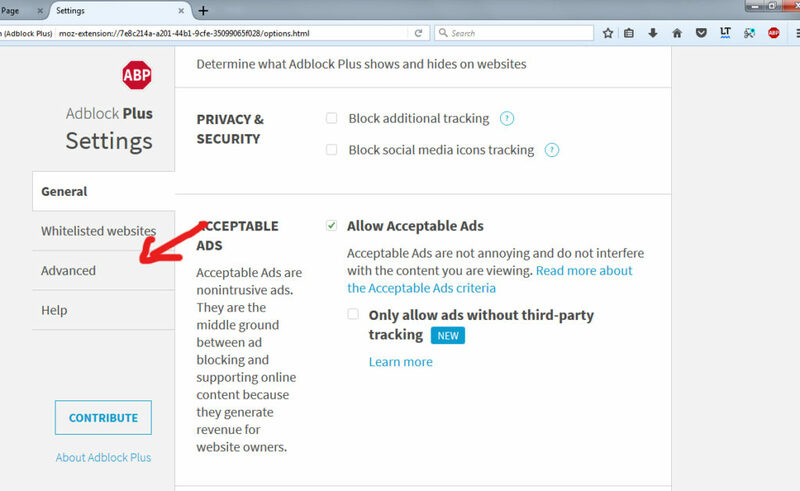 To install Adblock follow the below steps. First of all, install Adblock Plus from Add-ons → Extensions. Now Click on Red ABP icon on the toolbar. Then select options link and click on it. A new tap will open and from there click on the Advanced tab. 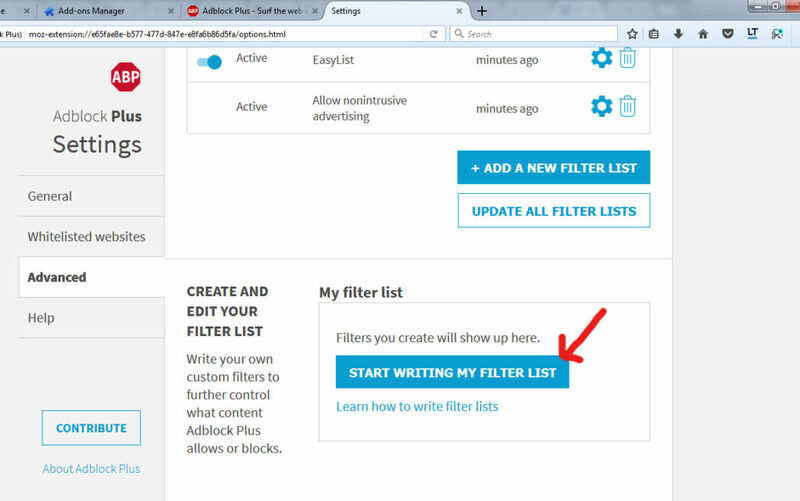 Now, click on Start Writing My Filter List Button at the bottom. Now Enter “/^https?\:\/\/\d*-edge-chat.facebook\.com\/pull\?(. *)?state=offline/$xmlhttprequest” this filter and click on Save button. Now you all set to hide last active on Facebook in Mozilla Firefox browser. You can also use extensions like “Facebook Chat Privacy” to hide last seen from your facebook chat. You cannot hide last active on Mobile browsers, but there is an option to hide last seen on Mobile. Browse the Facebook mobile browser with URL mbasic.facebook.com. Just stay offline and your last active time will be not registered. Your last active time will stop where you started using Adblock plus. 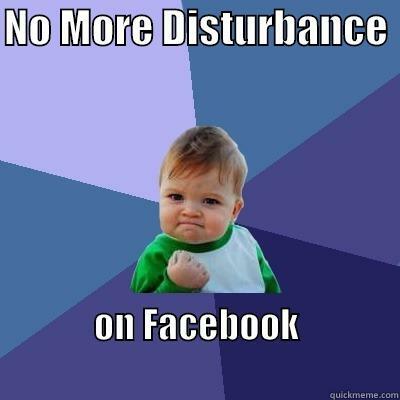 You can browse the facebook without any disturbance. You’ll not receive real-time notifications anymore. To receive real-time notification you need to open the facebook in another tab. Hiding last active on facebook by using the above tricks works when the browser ‘Extension’ is active. Make sure that you always stay offline. 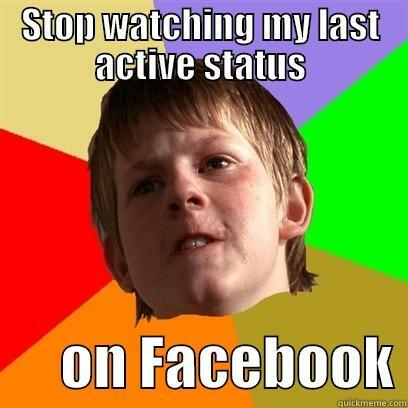 If you go online, then your active status will be as usual.